When music, poetry and emotions meet at a point in our life, chances are that something good comes out of it. True, they do not always coincide the three at the same time. When lyricist Mark Bugeja decided to put pen to paper and scribbled those verses, he was inspired by real life experiences and feelings of pain, anger, but also love. Little did he know that some years down the line, his fellow friend David, while doing some late night experiments on the guitar would come up with a riff, chords and melody which were a perfect fit to his rhyme. Gone is a powerful rock ballad that transmits emotions felt by the writer and the musician. It speaks about love and when your loved one leaves you just when you least expect it. Feelings we all experience somewhere in our lives. Gone is a song composed by David Cauchi, lyrics written by Mark Bugeja. Available on iTunes, Amazon and Spotify. I'm Gonna Be Your Lover - released in February 2017. This reggae tune with shades of jazz, tells us a story about a man's desire for his dream woman. 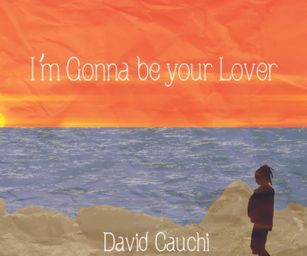 The song was authored and composed by David Cauchi, produced and mastered by Joshua Bray. The intro is very catchy and lead into the song naturally. The voice is warm, like the one who had the old school singers, and it's easy to listen and express emotions very well. The instrumental is powerful, PURE GOLD. I really enjoyed the musicianship in this song. It was refreshing to hear instruments and on top of that the people playing them really have some talent. The singer has a pretty strong voice that suited this genre well. He emoted well in the song and I found myself rooting for him to win over his true love. The great piano work was the cherry on top of this very good song..
All rights reserved and protected under applicable Copyright laws.